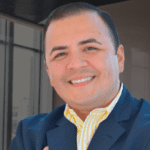 Richard Trevino II is a consultant, a speaker, and a writer with expertise in the area of productivity and leadership. His leadership mastery covers the topics of company culture, conflict resolution and communication, all important aspects of leadership. Richard started the company, Elevation Consulting Firm to help companies grow their people and increase their bottom line. His writings have appeared in Entrepreneur, Addicted 2 Success, AskMen and Thrive Global. I think it's everything, because when you're conscious, where you're at, you're mindful of what's going on. You understand? Like I said a while ago, you understand that everything can be gone tomorrow. Your life can be gone. Life is very fragile. My wife almost died almost five years ago. We lost our baby. She was pregnant four months. We lived in the hospital for three months. It was touch and go. We almost lost her. She had massive blood transfusions. Life is very fragile. So for me, I think being mindful of where you are and understanding that life is a gift and it's here one moment and it's gone the next. I think that's everything. For me it's freedom because it allows me this opportunity to say I'm going to be me, I'm gonna feel free to express myself and show you who I am and where I'm at right now because I may not ever get another opportunity. Well, that's funny because I have a new APP on my phone. I have an apple watch and my wife got this for me for father's Day. And so there's actually an app on there that literally twice a day stops me and it's a, it's a breathing exercise. I thought it was silly at first. Like I'm not even joking. I thought it was silly at first, but as I've done it, Bruce, I'm telling you right now, man, there's something to that. It literally forces you to stop and go through the breathing activity and when you do that, I'm like, Oh my God, I'm so much more calm. App: The Breathing App on the Apple Watch. It reminds me to breathe consciously twice a day. Towards the latter part of my career at this one company, and I won't mention the name right because it's just not my style. But I was literally doing the best I had ever done. My team was actually the number one team in our district and one of the best teams in the region. We were doing amazing work. I was one of the highest paid employees. I was making more money than my manager was. I was one of the highest paid employees. My staff was some of the highest paid agents in the region. we were doing phenomenal. Around us, in our district the teams were falling apart. It was just utter chaos. And I would try to bring people in like some of the agents that needed help and try to put them under our team's wings and help them to make sure that we gave them a fighting chance. However, there was an upper manager, a regional vice president that just had just the ugliest heart and just wanted to just make mean changes and try to, you know, flex her muscle on people and you know, I just stuck to myself and I literally put our team in the corner and I faced everybody to me and I was in the corner and I said, you keep your eyes this way. 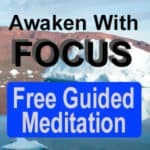 We focus here. Keep your eyes on me. Do not put your eyes on any of the negativity. Just look here, I'm going to help you. We're going to make it through this and we're going to flourish in the middle of it all. Well, during that time that regional vice president began to bully. That's what really, what was going on. Some people think, oh, that's a management style. That's not a management style, that's bullying people. Harassing people is really what it came down to. She was bullying; flexing her authority on people and didn't need to do that. And then, especially people that were actually mild mannered people, pretty reserved people that would go with the flow with anything. She made it a point to just flex her muscle and to make an example out of them to everybody else. And there was never a need to do that. In the end, I ended up leaving the company.